The demands of environmentally friendly vehicles not only cater to the passenger cars, but also commercial vehicles. 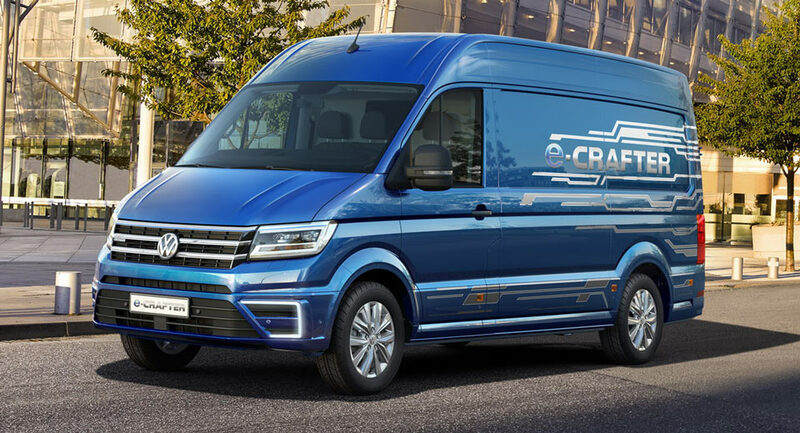 One evidence presented by the automotive manufacturer Volkswagen in the form of van named e-Crafter Concept. As quoted of Carscoops, these commercial vehicles using the same platform with diesel-engined Crafter van. It's just a concept car that uses electric motors powered 134 hp with a torque of 290 nm. The electric motors of the Volkswagen e-Crafter Concept powered by 43 kWh lithium-ion batteries. To recharge up to 80 percent takes just 45 minutes. These electric van is able to roam up to a distance of 200 kilometers. As a differentiator with conventional Crafter van, the car uses a blue exterior color with silver stickers. There's the bumper equipped with DRL LED and a newly designed grille.